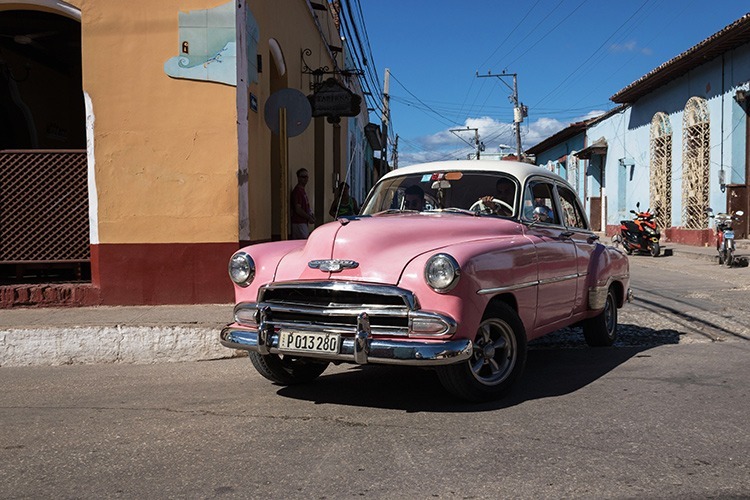 ‘As a keen photographer, I worked out that a cycling trip to Cuba was the best way to see the country, and the only way to get my other half there! Cuba didn’t disappoint. The cycling was quite challenging, as there were a few long climbs, some cheeky climbs, and loads of undulations. We were mostly on a mixture of dirt and tarmac roads with little traffic. Our ensuite accommodation was all excellent, varying from small casa particulares to all-inclusive holiday resorts. The food was tasty and plentiful, with the choice generally being chicken, pork, beef or fish. Finishing a ride with a beer, mojito or pina colada was a bit different to my usual mug of tea! Oh, and the photography was almost too good, with landscapes, people, horse-drawn carts and classic cars at every turn of the head. 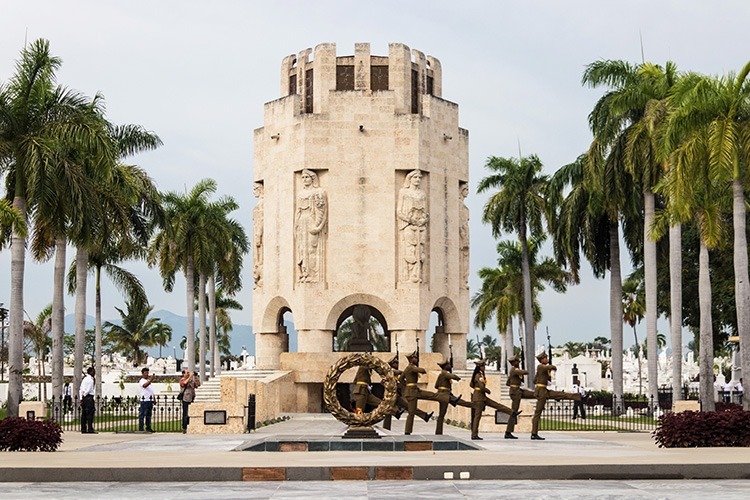 We visited many places important to Cuban revolutionary history, with expert knowledge from our Cuban guides (Lazaro in Havana and Andry on the tour). Almost a year to the day after the death of Fidel Castro, we visited his burial place in Santiago de Cuba. 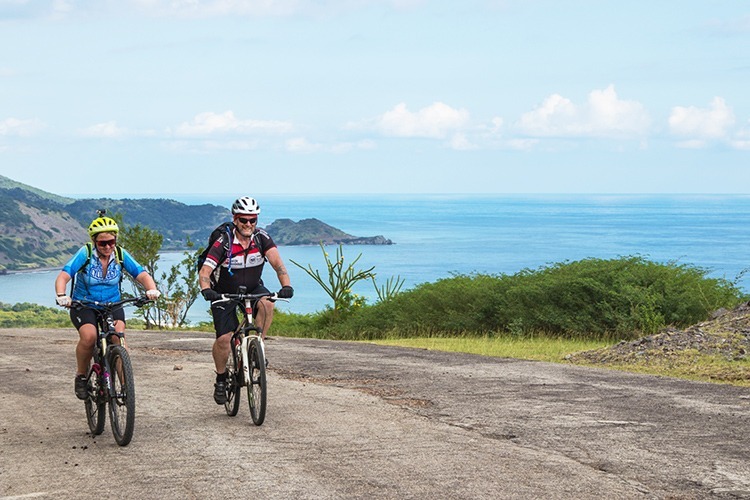 After a circular ride on the first day, we set off from Santiago de Cuba, and rode along the coastline, heading west to Niquero over 3 days. We were a small group of 6 people, and there was quite a difference in speed on the climbs. However, with our leader Tony’s support, we pulled together and tried to help each other cope with the ups and downs. 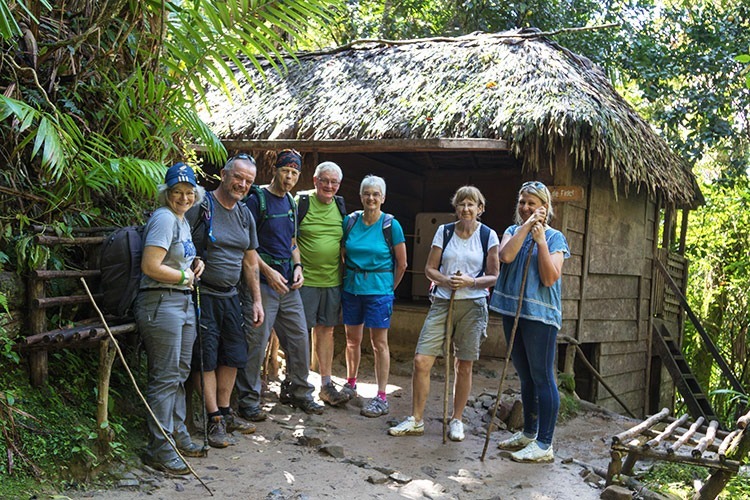 Back on the revolutionary trail, we headed towards the Sierra Maestra, where Fidel Castro developed his hidden headquarters. Having cycled along their southern slopes, we were now heading for the northern side. Cycling through rural farmland, we could have been travelling at any time in the last 2 centuries! 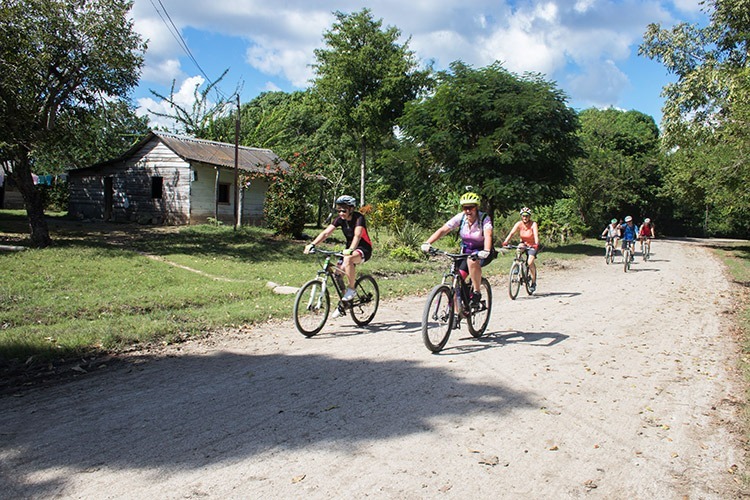 On our first non-cycling day, after a steep ride in a jeep, we trekked the last few km to Fidel Castro’s Comandancia de la Plata. This command HQ was established after a year on the run in the mountains, and was never found by Batista’s soldiers. The fridge can still be seen here in Fidel’s hut, which had several escape routes. After a transfer from our hotel in Camaguey, we rode into Trinidad, probably my favourite place of the whole trip. A morning’s short ride to the beach was followed by time to wander around and enjoy the cobbled streets and classic cars in town. 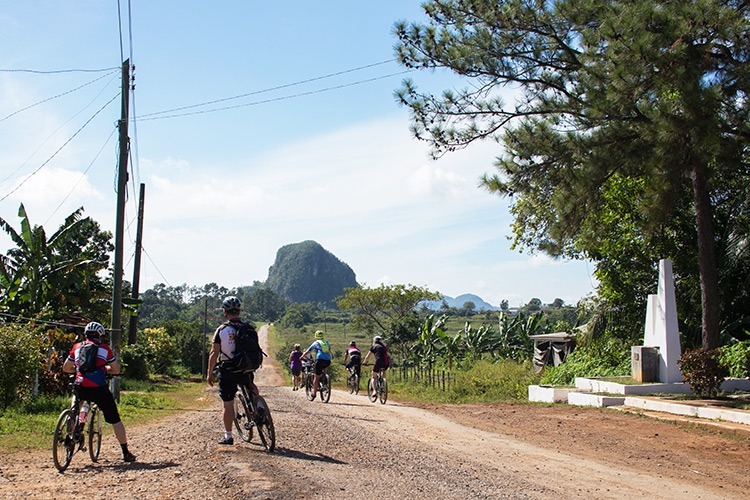 Our final destination was Viñales, a land of limestone outcrops known as mogotes, and another wonderful area for cycling, as well as being famous for organic tobacco production. 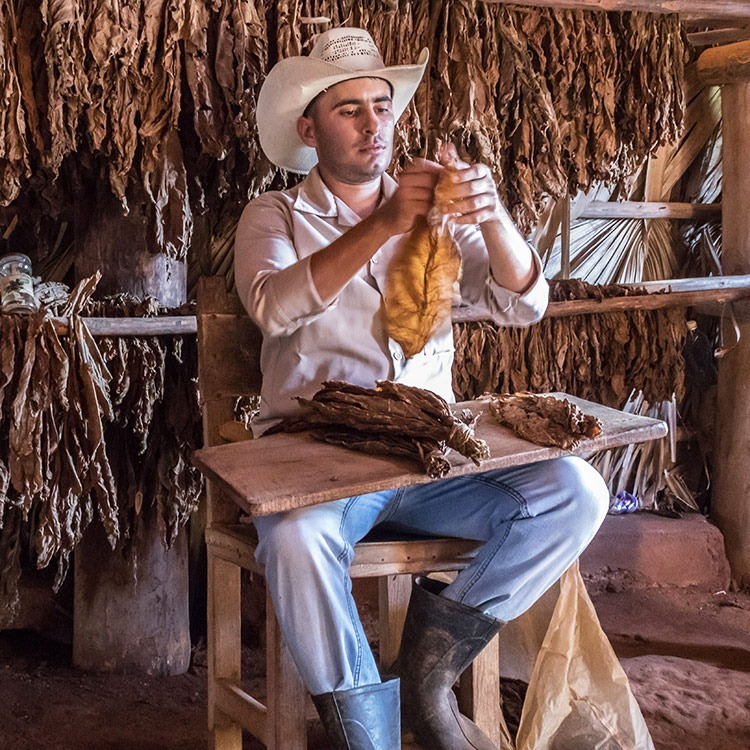 Visiting a tobacco grower, we were persuaded to try the Cuban cigars, and several of us bought them to take home. So what if I gave up smoking in 1981! When we booked this trip, it had seemed like a good idea to finish up with a day in Havana, but we were woken by strong winds and torrential rain. Undaunted, we set off on the circular HabanaTourBus, ending up in the Café Paris for pizza, cubatas (dark rum version of a cuba libre) and Cuban music. The return trip along the seafront Avenida de Maceo, otherwise known as the Malecón, was rather exhilarating on the open top of the bus. Feeling inspired? 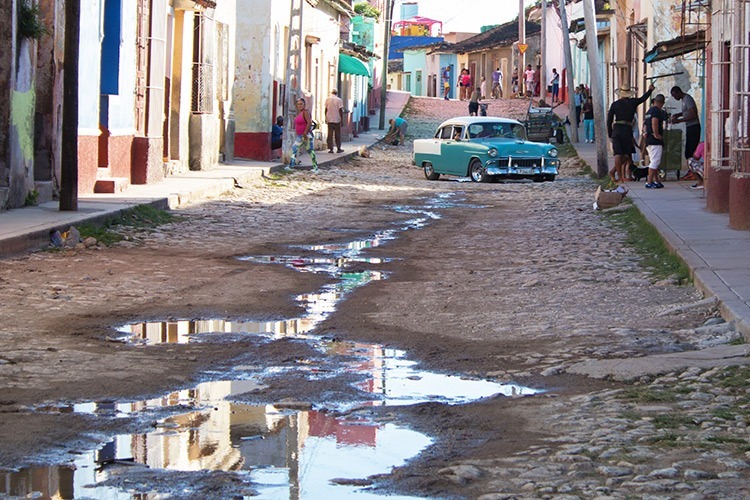 If you would like to head to Cuba, we have two fantastic trips you can choose from!